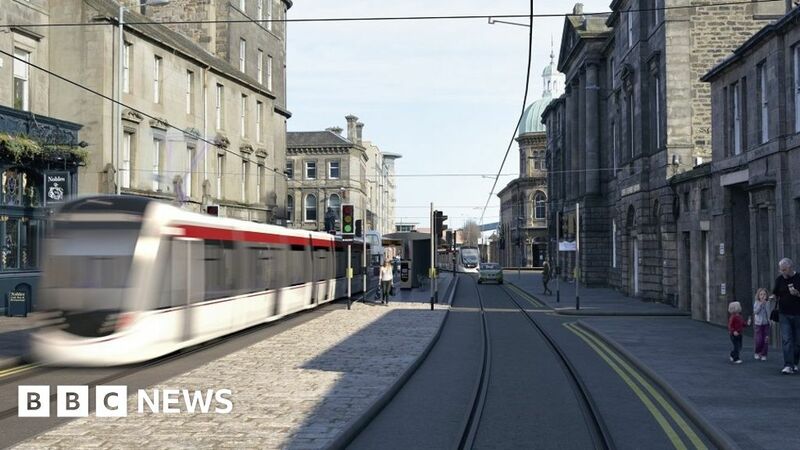 Edinburgh's tram line is to be extended from the city centre to Newhaven at a cost of up to £207m. Supporters of the plan to lengthen the tram line by 2.8 miles (4.6km) say it is needed to match the city's population growth. But funding concerns have been raised after it was revealed the project's costs had jumped by 25%. The original tram project came in at twice its original budget and the mistakes made on that scheme are subject to an ongoing public inquiry. Looking back from westbound Tram 266 turning into Princes Street from South St Andrew Street on Saturday 31 May 2014, the first day of public services.